My job revolves around my laptop a lot. In fact, it is one of the 2 most important devices I carry with me all the time. Apart from my phone, it would be my laptop! On there, I write blog posts, submit drafts, edit pictures and videos, etc. Till date, my laptop is still superior to my phone in so many ways that can't be replaced. That is why it's indispensable in my life! 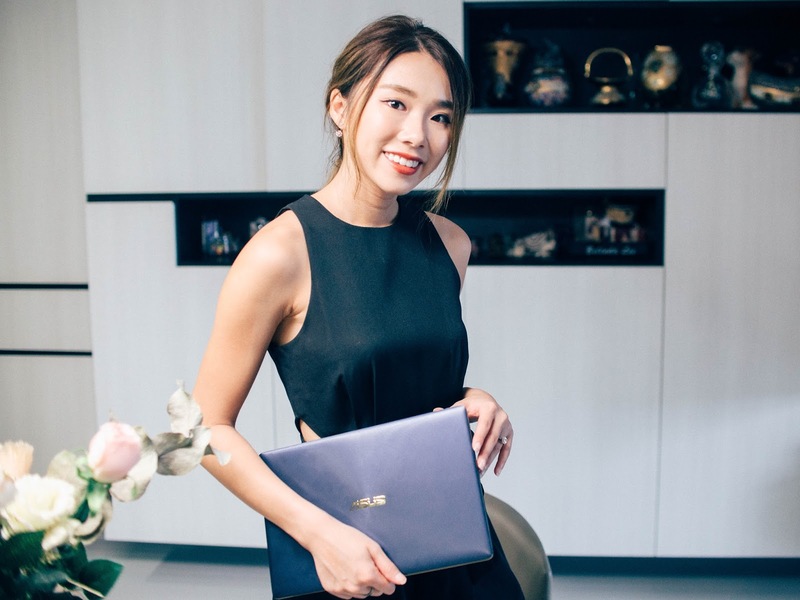 The ASUS ZenBook 3 Deluxe UX490 is the laptop I carry whenever I have many other things to carry around the entire day. 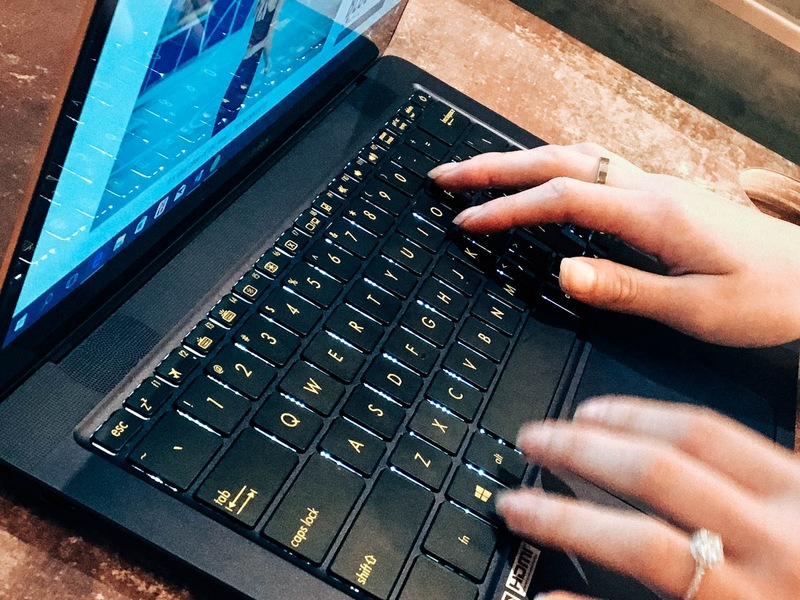 It's thin and light, weighing at only 1.1KG, it's said to be the world's lightest laptop of its size! 1.1 KG.. I think the makeup pouch I carry around weighs more than this, haha! Plus, it is SO THIN, I love it because I can literally slot it at the side of my bag and it doesnt make it look bulky. Nobody can tell that I've got a laptop inside at all, which is amazinggggg, isn't it? Aesthetic wise, I always tell people that this is the PRETTIEST laptop anyone will ever come across. Navy blue with a sleek finish and gold trimmings at the side.. I don't know if anyone will not fall in love with it. I certainly fell in love with it at first sight! Psst. 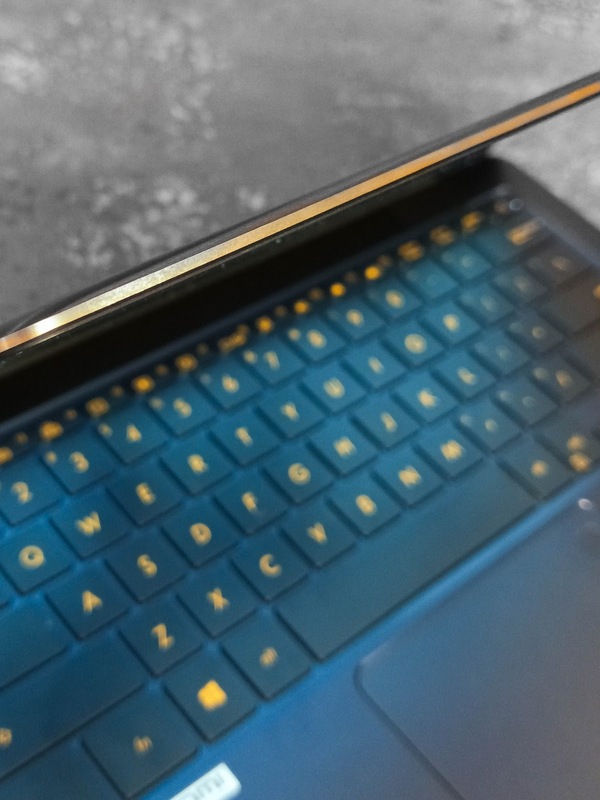 Keyboard is also backlit with 3 light intensities to choose from! Working in the dark, no problem! The Asus ZenBook 3 Deluxe UX490 is now part of my daily necessity when it comes to meetings, work and travel. 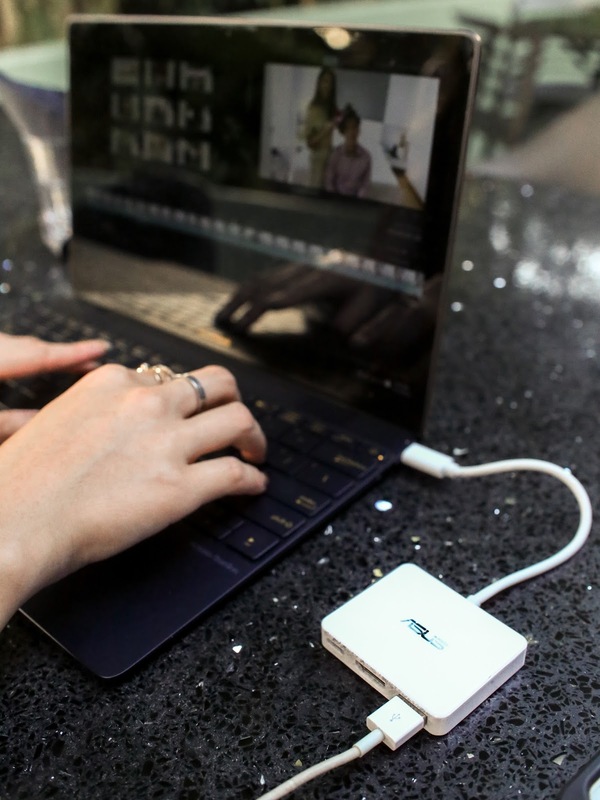 With the USB-C Port and its mini dongle, you can have everything from data transfer, phone charging, HDMI port etc all in one in this tiny little dongle that I fit in my laptop sleeve! I love that everything is so neatly designed, all my wires will be on my right, attached all to one place - no more messy wires, no more crossing of wires to get them in and out of the port, no more entangling and spoiling them wires (we are all guilty of that). Off I go with my trusty ASUS ZenBook 3 Deluxe! 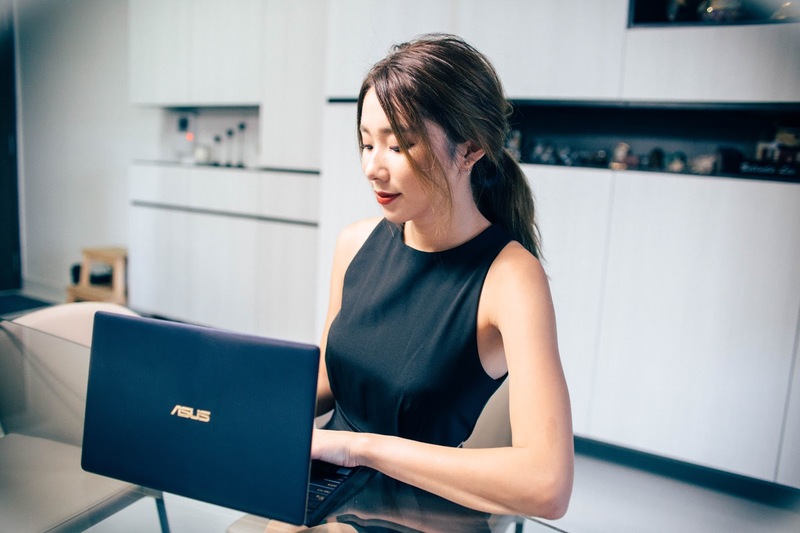 The ASUS ZenBook 3 Deluxe UX490 is available at all ASUS Brand stores and authorised retailers starting staring from SGD$2,198. 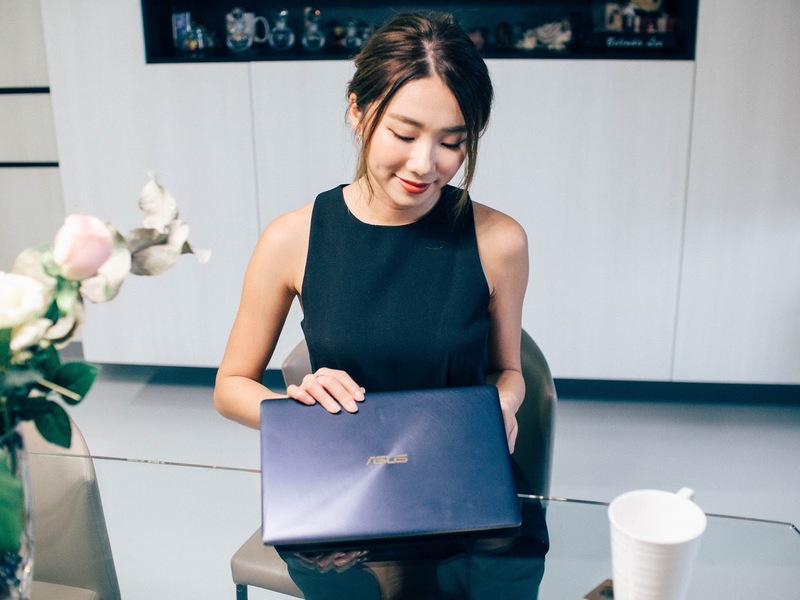 If you're always out and about, looking for a high performance laptop that is light, easy to carry around, pretty and fashionable, I highly recommend the ZenBook 3 Deluxe!